Sources for "A great woman and her time"
The unrivaled scholarship of Mary C. Sullivan, RSM, has been the bedrock for the podcast. 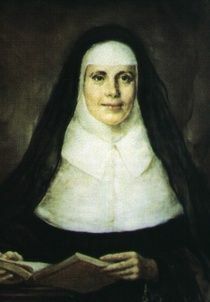 Sullivan's books provide a wealth of information about McAuley's life and spirituality. The Path of Mercy: The Life of Catherine McAuley (The Catholic University of America Press, 2012). This eminently readable and deeply discerning biography is the culmination of Sullivan's lifetime of work on McAuley. It is the first source to consult for scholar and layperson alike. 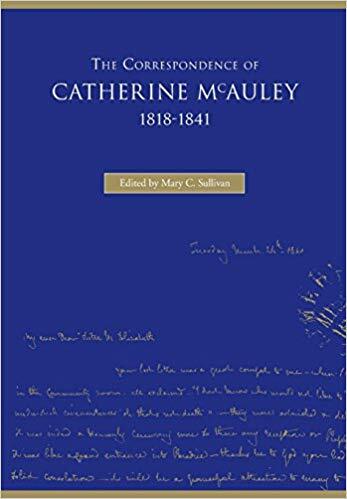 The Correspondence of Catherine McAuley, 1818-1841 (The Catholic University of America Press, 2004). This meticulously edited book brings together the entire known corpus of McAuley's letters. Keeping with the highest traditions of scholarly editing, it reflects Sullivan's years of research on multiple continents and in many archives--painstaking work that unearthed many new documents. Catherine McAuley and the Tradition of Mercy (University of Notre Dame Press, 1995). This carefully edited primary source reader introduces all of the most important early manuscripts on Catherine McAuley and includes brief but illuminating biographies of all of her early companions. A Shining Lamp: The Oral Instructions of Catherine McAuley (The Catholic University of America Press, 2017). This work recovers the words that Catherine McAuley used in teaching fellow sisters, words that animated their hearts and minds, and found outlet in their lives of service to others. The Practical Sayings of Mother McAuley (Sisters of Mercy of the Americas, 2010). This little book of sayings is priceless. Appropriately, it is FREE. Just click the book image and you will be on your way to a little taste of Catherine McAuley, courtesy of Sister Mary Clare Moore, one of McAuley's beloved companions, who first published this book in 1868. Praying in the Spirit of Catherine McAuley: A Collection of Prayers (Liturgy Training Publications, 1999). 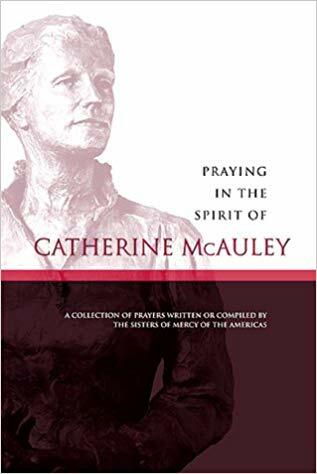 Reflecting the heritage of the Sisters of Mercy, the charism of Catherine McAuley, and the devotional attitudes of 19th century Irish religious, this book brings McAuley's prayer life intimately into our own. Kathleen Healy, RSM. 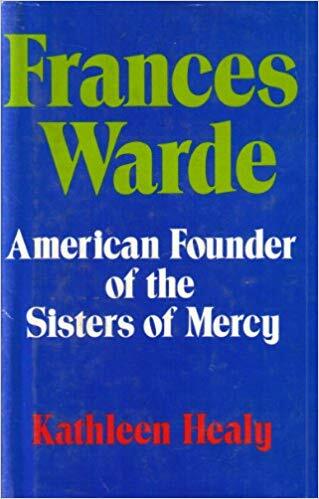 Frances Warde: American Founder of the Sisters of Mercy (Seabury Press, 1973). This lovely book about an extraordinary individual is well worth reading. Healy writes with erudition and grace, and her admiration for Frances Warde is contagious. It is a chapter in American history that ought to be better known. S.J. Connolly. Priests and People in Pre-famine Ireland, 1780-1845 (Dublin: Four Courts Press, 2001). A wonderful work that provides a broad overview of Irish society, the Catholic hierarchy, and popular belief in Ireland during these years. S.J. Connelly. "The 'blessed turf': cholera and popular panic in Ireland, June 1832." Irish Historical Studies 23, no. 91 (May 1983): 214-32. A fascinating case study of the mentalities of Irish Catholic peasants in the early 19th century. James S. Donnelly, Jr. The Great Irish Potato Famine, 1-11. Phoenix Mill: Sutton Publishing, 2001. A concise and clear presentation of the dire economic circumstances of Irish peasants in the early 19th century. Seamus Enright. “Women and Catholic Life in Dublin, 1766-1852.” In History of the Catholic Diocese of Dublin, eds. James Kelly and Daire Keogh (Dublin: Four Courts Press, 2000), 268-293. A valuable review of the rise of women's orders in Dublin in the late 18th and early 19th centuries, which provides important contextualization for the emergence of the Sisters of Mercy in Dublin. Donal Kerr. “Dublin’s Forgotten Archbishop: Daniel Murray, 1768-1852.” In History of the Catholic Diocese of Dublin, eds. James Kelly and Daire Keogh (Dublin: Four Courts Press, 2000), 247-251. A brief but incisive celebration of the career of Daniel Murray, the archbishop whose decisions so deeply influenced the life of Catherine McAuley and the history of the Sisters of Mercy. Maria Luddy. Prostitution and Irish Society, 1800-1940 (Cambridge University Press, 2008). A foundational study of a taboo subject that illuminates the sad circumstances of Ireland's poorest women. Nicholas Mansergh. The Irish Question, 1840-1921 (Toronto: University of Toronto Press, 1975). A penetrating study that explores the character and consequences of Ireland's benighted relationship with England in the 19th century. Mendacity Institution. "The Founding and Organisation of the Mendacity Institution." An organization founded in 1818 for "the suppression of street begging in Dublin," the Mendacity Institution continues to help the needy to this day. Its record of its origins reminds us of the profound poverty of many early 19th century Irish people.